We take comfort in believing our homes are safe places for our families 24 hours every day. Statistics tell a different story. The National Fire Protection Association reports that 80 percent of fire-related deaths happen at home in a matter of seconds. In fact, they report that a home structure fire is reported every 90 seconds in the United States. That is why it pays to have high-quality, professionally-installed smoke and carbon monoxide detectors throughout your home. There is no question that they save lives. At the minimum, all homes should have battery-operated smoke detectors, but the gold standard is 110-volt hardwired interconnected detectors with battery backups. First Class Electric's certified electricians install smoke and carbon monoxide detectors in homes and businesses throughout Central New Jersey. Our work is 100 percent guaranteed. Give us a call at 908-409-1752 or submit a contact form for help. 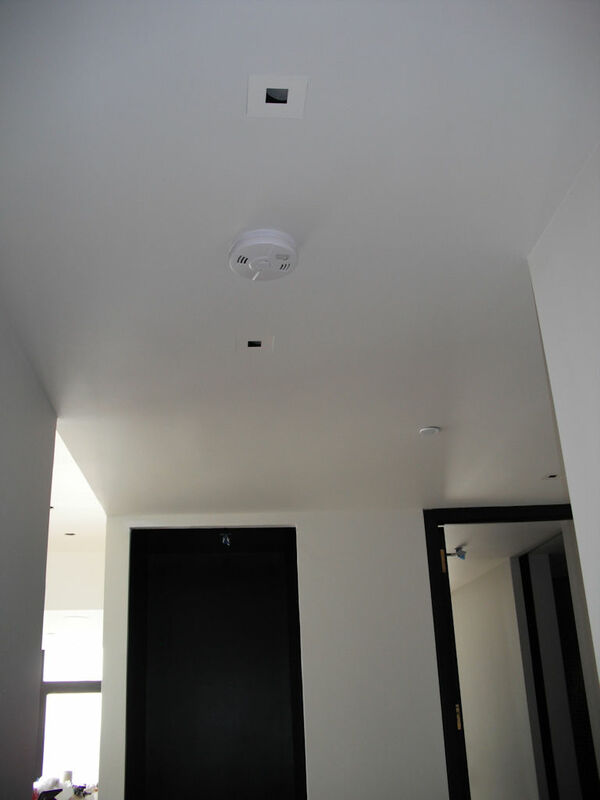 What is the advantage of Hardwired Smoke Detectors? The good news is that most homes in New Jersey have smoke detectors. But not all detectors are created equal and it is recommended to have 110-volt hardwired interconnected devices with a battery backup. If there is an ultimate in fire safety, this is it. 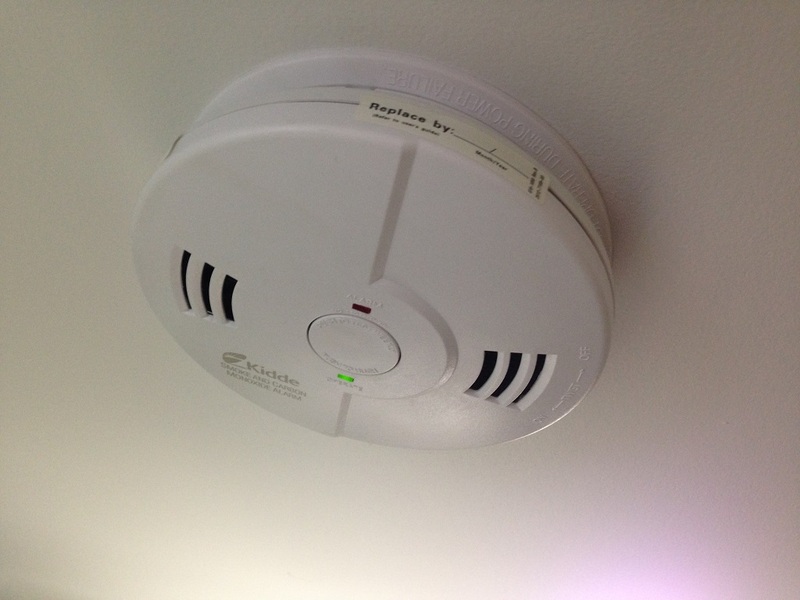 The bottom line is that smoke detectors and carbon monoxide detectors can alarm you of fire or carbon monoxide gases in your home very quickly.. A few minutes, even a few seconds, can save both life and property. Why is a hardwired interconnected system better? You may not hear the alarm from the smoke detector on another floor or a distant corner of your house. These interconnected detector systems will activate alarms on all devices throughout the home. So you may be sleeping upstairs in your second-floor bedroom and a fire starts in the basement. Individual battery-operated detectors may not awaken you for long after a system that sets off all alarms would. Also, if there are other families and guests in the house, everyone, no matter where they are, hear the alarms. For everyone's safety, every home should have a battery operated smoke detectors at least, but hardwired detectors are preferred and recommended. 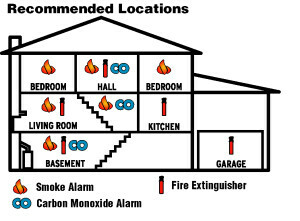 Where Do You Place Smoke Detectors? Make sure your home or business is protected. We continue to collect testimonials from our many satisfied customers. We will shortly share with you what their experience was in this area of the page.